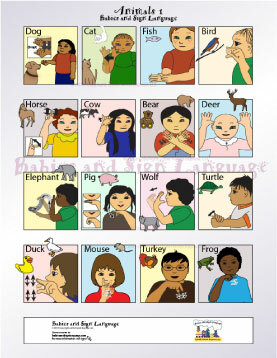 Teach your baby or toddler baby sign language using this custom illustrated, detailed chart from Babies and Sign Language! Each panel shows a clear illustration of a common animal using anatomically correct hands. Small pictures of each animal are included on the panels to help associate the sign with the animal.